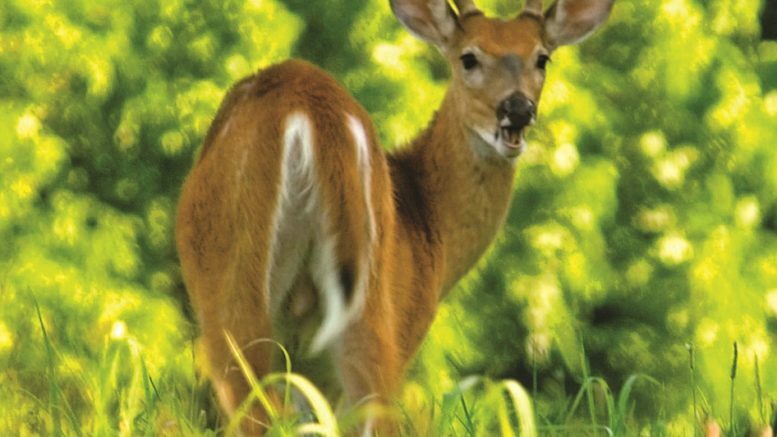 On Jan. 29 the Pennsylvania Game Commission gave preliminary approval to a plan which would allow deer hunting on the Saturday after Thanksgiving. The commission’s preliminary vote could end up changing a yearly ritual which didn’t open the rifle deer hunting season until the following Monday. The commission is expected to take a full vote on the matter in April, which according to some could change the state’s long held tradition of celebrating the start of the hunting season on that Monday. For decades families have observed the start of the rifle deer season with the kids home from school but out in the field with the older hunters. “I’m not in favor of it just because of the fact that I’m used to tradition,” said Matt Sellers, an avid hunter who lives just outside of Montrose. “And I think it’s a good idea to have that week to prepare,” Sellers said. But Sellers acknowledged that some working hunters can’t necessarily take that Monday off and could use the Saturday, particularly if they were interested in mentoring younger hunters. “To them it’s important to keep and possibly to have young mentored hunters to have a better opportunity to get out into the woods with their parents because a parent might not have the time during the week to get out into the woods,” he said. Sellers also said that while a Saturday start could bring more out-of-state hunters into Pennsylvania, it could also interrupt long held rituals where out-of-state hunters come to the area to set up camp in preparation for the traditional Monday hunt start. Larry Coy of the popular Montrose Sporting Goods said that the number of hunting licenses he sells each year has dropped from a high of about 3,500 to between 2,800 and 2,600. “There are less people hunting every year,” Coy said. “You’re losing a family tradition where it was the grandfather, the father and the kid. A lot of the kids today are all video games, all inside,” Coy said. Coy said he likes the idea of starting the hunting season on the Saturday but will have to wait and see how it ends up affecting his business. “I’m kind of in favor of it. I think we need to give people who are working full-time time to get out,” he said. “As far as that, I’m not sure what it’s going to do for business. It might be a total madhouse,” Coy said. Travis Lau, a spokesman for the Game Commission, said there are about 700,000 hunters statewide and that Pennsylvania took in over $4 million from deer license sales during the last licensing period. The Game Commission issued 38,000 licenses in the state’s northeastern area comprised of Susquehanna and parts of Bradford, Lackawanna and Wayne counties. The Game Commission is looking for more feedback from hunters, who are encouraged to e-mail their thoughts on the proposed change to pgccomments@pa.gov or snail mail them to Pennsylvania Game Commission, 2001 Elmerton Ave., Harrisburg PA 17110. The public is also invited to attend the first day of the commission’s next meeting in Harrisburg on April 8 at 8:30 a.m.
Be the first to comment on "Saturday hunting gets PGC preliminary okay"